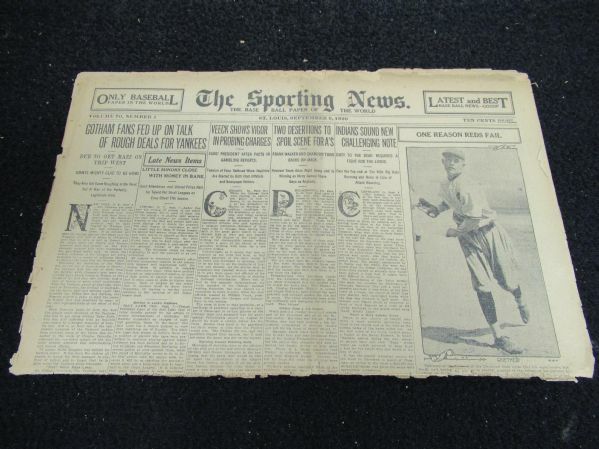 1920 Sporting News partial baseball paper. Dutch Ruether - Cincinnati Reds - pictured on front page. (8) Pages. Tears at middle seam running horizontally. Sensational content.